Photo by Aubrey Schield. Hannah Knickerbocker runs her way to a MIAC Athlete of the Week award. After a summer of intense training and preparation, Hannah Knickerbocker was named the MIAC Women’s Cross Country Athlete of the Week on September 5, 2012. Knickerbocker was nominated by women’s cross country coach Marv Roeske for her performance at the Valley City Invite the weekend prior. Setting a new personal best time, Knickerbocker finished in second place out of 74 runners. “She ran the best race of her life,” Roeske said. Knickerbocker started running cross country as a junior in high school. Growing up in a family of runners, she said she has always found running to be enjoyable and rewarding. Knickerbocker also ran distance on her school’s track team and played volleyball until her sophomore year of high school. Although she had played for six years, Knickerbocker said that volleyball wasn’t truly what she wanted to be doing. The women of the cross country team expressed their excitement when Roeske shared the news that Knickerbocker had been honored as an athlete of the week. To have a fellow runner be recognized with this award is “really exciting,” women’s cross country captain Liz Hanson said. Hanson has trained with Knickerbocker for the past three years and said she has full confidence in her and their team’s potential this season. Hanson said that many runners on the women’s cross country team are already performing better than they did at the start of last year’s season. With a large group of freshmen joining them and individual improvements across the board, Hanson said the team is off to a great start. 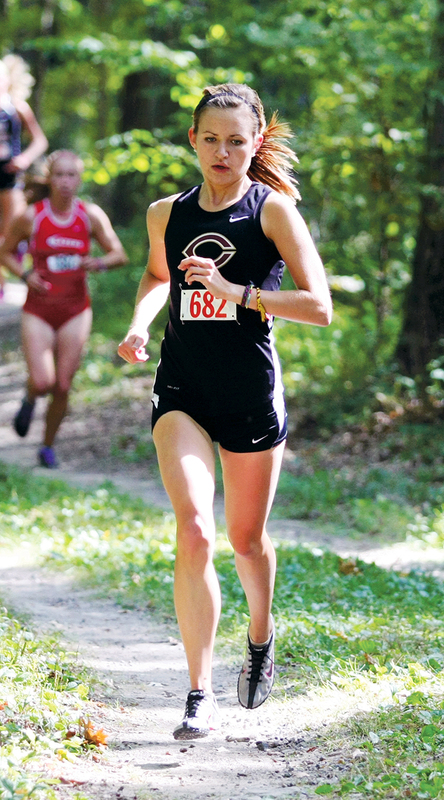 Last weekend, the Concordia women competed along with 24 other teams at the St. Olaf Invite. In addition to finishing in seventh place as a team, multiple runners finished with new best times. This season, the regional meet will be held at St. Olaf, said Hanson. The meet on Saturday gives the women a preview of the course and also many of the teams that they will face at the MIAC race. With the goals of placing among the top ten teams at the regional meet and in the top half of the MIAC in mind, Roeske and the team are prepared to continue their hard work and dedication as the season goes on. The runners have a clear idea of what they want to accomplish this season and they are all on the same page, said Hanson. Roeske said that running cross country requires consistency and steadiness. Those runners who, like Knickerbocker, demonstrate passion and determination will positively affect the rest of the team. “You run in a pack because the pack makes you stronger,” Roeske said.